If quality tee removal in Morris County NJ is something you require, the company to call is Landmarq Tree Service. In terms of everything trees, including pruning, ongoing attention and even tree removal, Landmarq is your top resource. When it comes to removing trees and supplying care for a full landscape of foliage, our specialists are here for full support. Get in touch with us today for all your requirements for tree service in Chester NJ. You might be thinking about trimming a tree, or even performing tree removal in Chester NJ on your own. With so much equipment available at home improvement stores, it might be tempting to just take care of your trees on your own. You may end up doing more harm than good however in the event you lack the proper knowledge and expertise. When the tree you need removed is particularly large or close to a power line or home, contacting a professional is even more important. Safety always comes first. Removal of a tree can not just be a challenging procedure, but potentially a hazardous one as well. Do need a tree removed on your property? To discuss your needs for tree service in Chester NJ just get in touch with Landmarq Tree Service today. With regards to ensuring the greatest level of safety, completing the job efficiently, and providing an affordable tree service cost, there’s no one else you need to call. Need on-going tree service or tree removal in Chester NJ? It’s always a good idea to hire a specialist. Things like pruning and trimming can be a pleasant way to spend time outdoors and put your own touch on the landscape and appearance of your residence. However, if you are considering taking on the task of tree care, you’ll need to make sure that you’ve got enough information regarding the right and best way to care for your specific types of trees. 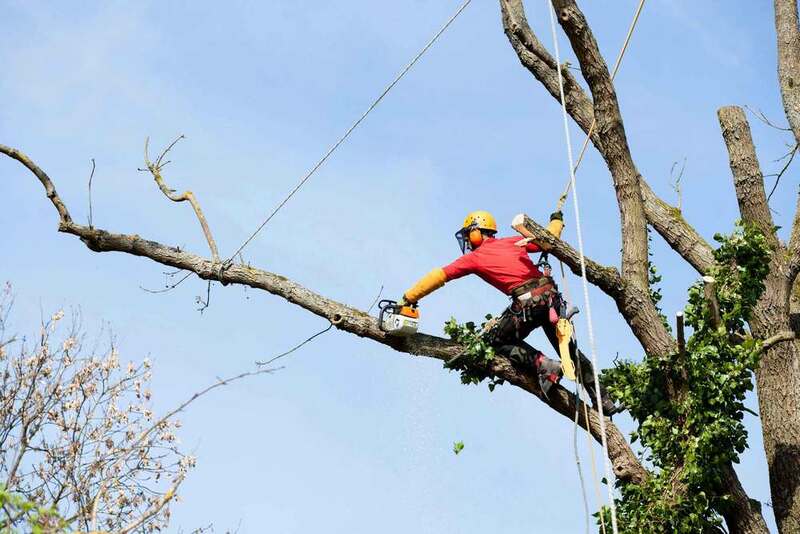 Getting in touch with the pros at Landmarq Tree Service means that you’re capable of taking advantage of our considerable expertise with trees of all types. In this way, the perfect watering schedule, pruning methods and fertilizer alternatives are going to be able to be determined. It isn’t only homeowners that have to take advantage of dependable tree service in Chester NJ. Commercial tree service and removal are services which every business property with trees is going to find important. Trees are a significant factor when it comes to the attractiveness of your landscape, and as such it’s important to allow them to consistently look their best. An experienced professional is necessary for this service however, and you always want the best for your business. This is the reason Landmarq Tree Service is the company to call when you need commercial tree service and tree removal in Chester NJ along with the rest of the local area. Visual concerns are just the beginning. Major liability issues are capable of resulting from your trees when large branches and limbs are ready to fall, as happens when they don’t receive service on a routine basis. This isn’t ever something you should take a chance with as a lawsuit may result, costing you a significant amount of money. To ensure the safety of anybody visiting your property, tree removal must be performed promptly when it becomes needed. 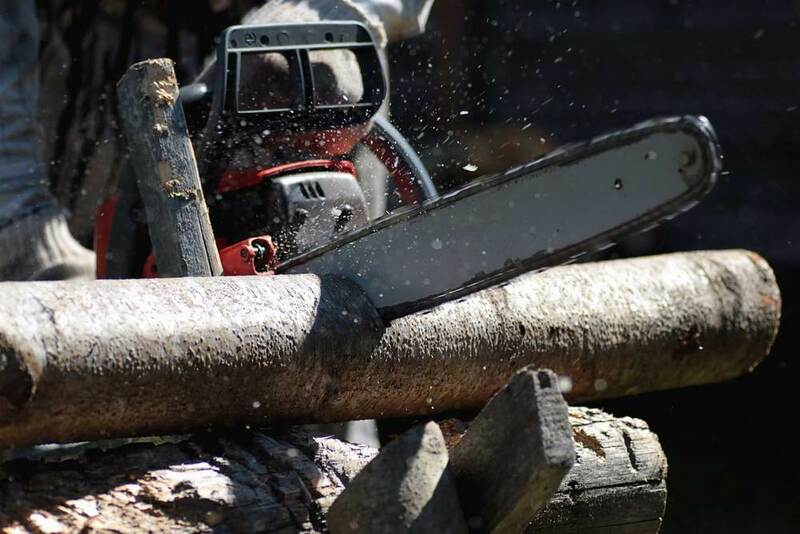 One of the reasons commercial and residential customers depend on us is the fact that we provide a very affordable tree removal cost compared to other contractors in the local region without sacrificing when it comes to quality, which is great when it comes to your business’s bottom line. When you consider that relying on us with an ongoing tree care contract we are able to catch a large number of problems way in advance, both ensuring increased safety and in many cases prevent a full tree removal which is going to be an additional significant cost, hiring Landmarq for all your tree needs is an extremely smart investment for your business. 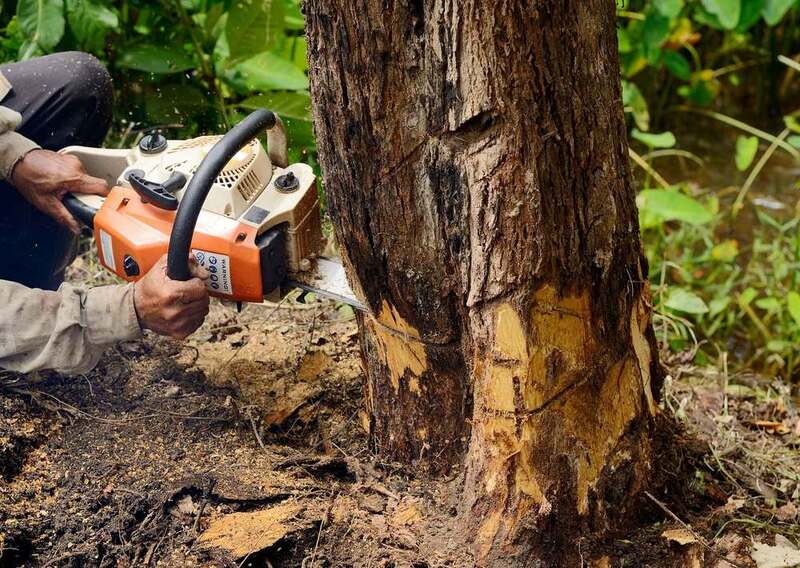 When home and business owners think of the various types of tree service in Chester NJ they’ll require, stump grinding isn’t commonly one that first comes to mind. Don’t let this cause you to believe this service is unimportant, however. An otherwise beautiful landscape can be marred by the stump that has been left behind after a tree removal. This is an essential factor if you care about your property value. Other factors must be taken into consideration beyond aesthetic concerns. A stump in the middle of your property can be a safety issue, and as a result a liability issue. Homeowners find that attempting to mow the lawn with a stump in the way is incredibly challenging. Potentially spelling disaster for your property’s other trees and even your house is the fact that old stumps frequently become breeding grounds for termites. Professional stump grinding services will assist you in avoiding all of this. We’re able to remove not just the tree but the entire root system with the cutting edge equipment we have. This way the tree regrowing is something we’re capable of preventing. You’re also capable of counting on a job which is performed safely when you employ professionals. We are standing by to get the job done if you are in need of stump grinding or any other type of tree service in Chester NJ. Occasionally, tree removal in Chester NJ is necessary. If a tree is sick with fungus, it can not just pose a threat to other trees on your property. This is something that has the capacity to affect your neighbors’ trees as well. Safe removal of a tree is the ideal choice when a tree cannot be saved and poses a risk to additional foliage in the area. If you think any of your trees might be dying, Landmarq Tree Service will help you assess their condition. Leaving your yard clean and clear, our pros will carefully remove each section of the tree, including the stump if needed, if removal is the best option. Dead branches and parts of a tree can not just present a risk to surrounding trees, but may also be dangerous for homes and for people branches can be dangerous for houses and people along with posing a hazard to surrounding trees. If your tree has a branch which seems likely to fall, your best alternative is to get in touch with Landmarq Tree Service for tree service in Chester NJ.